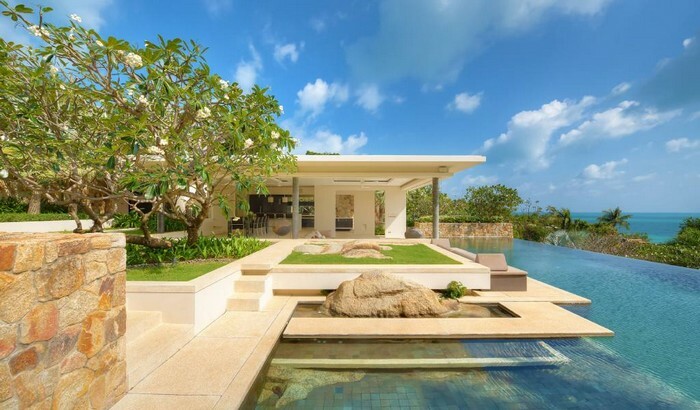 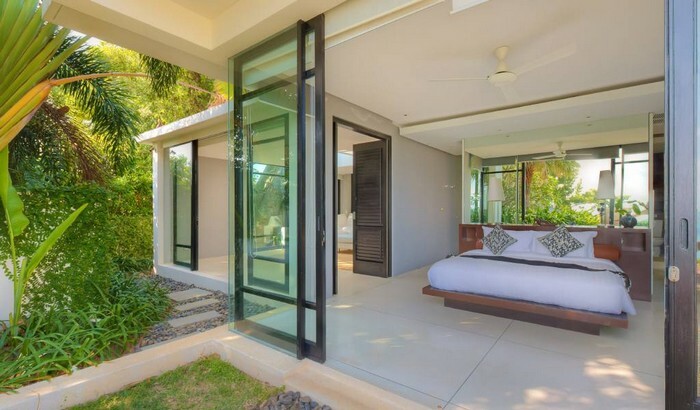 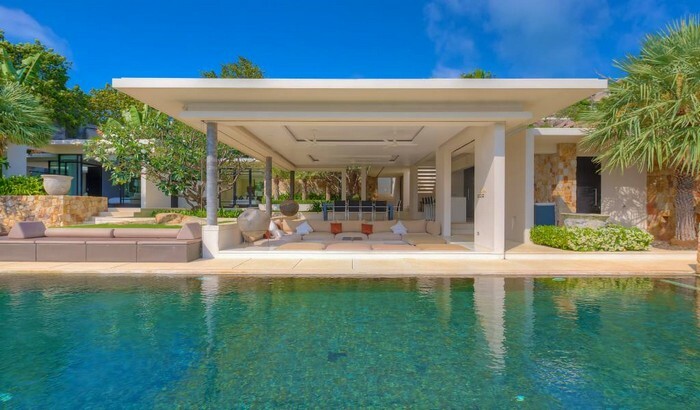 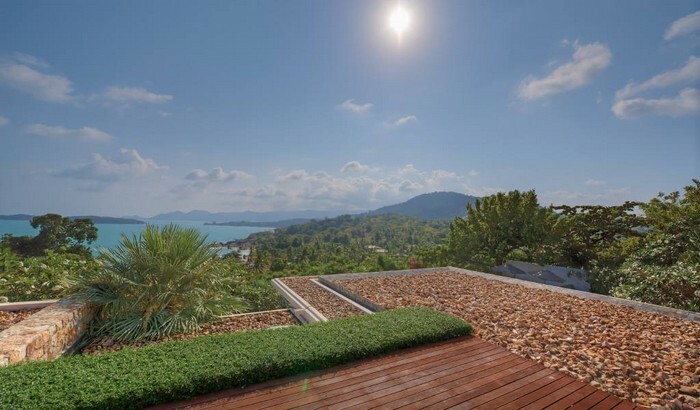 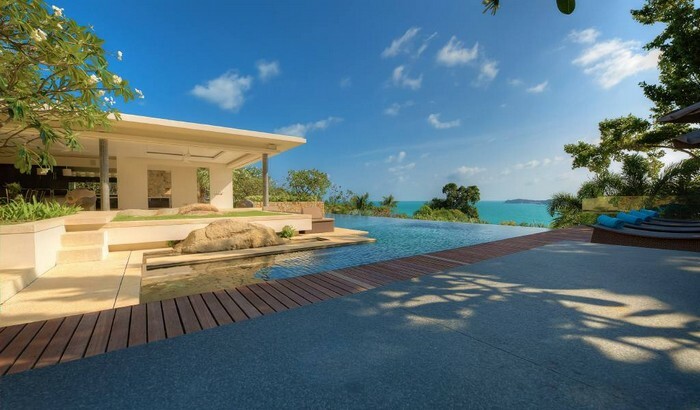 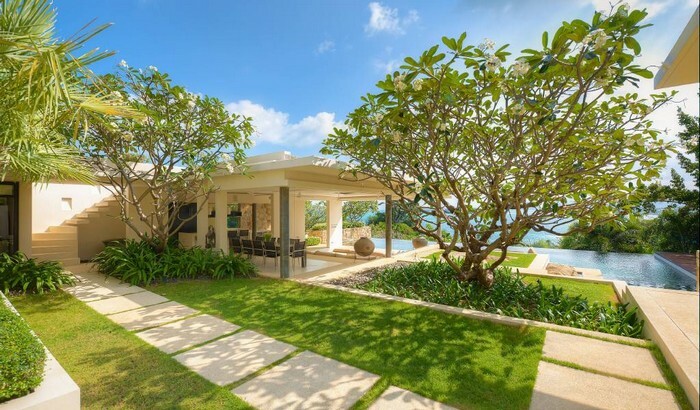 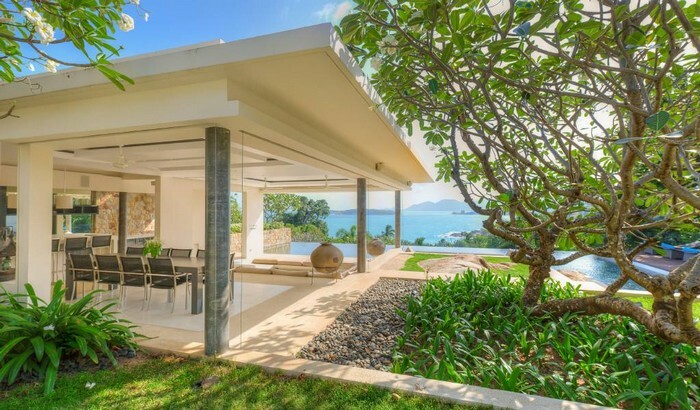 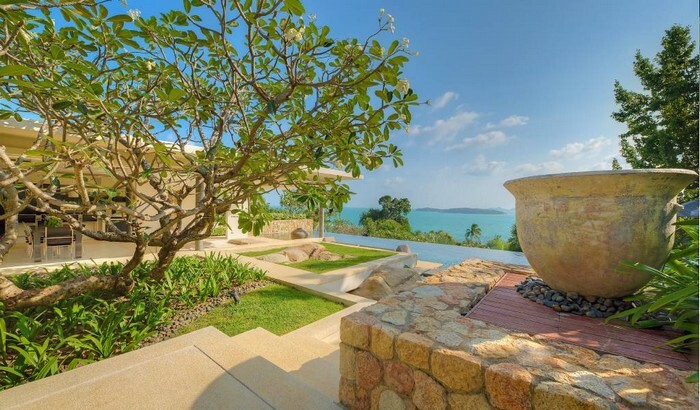 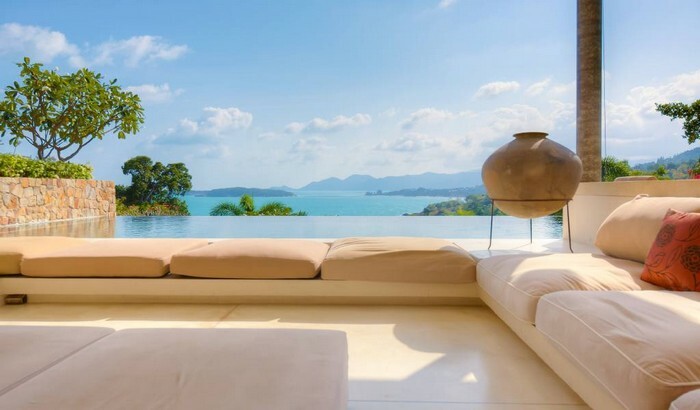 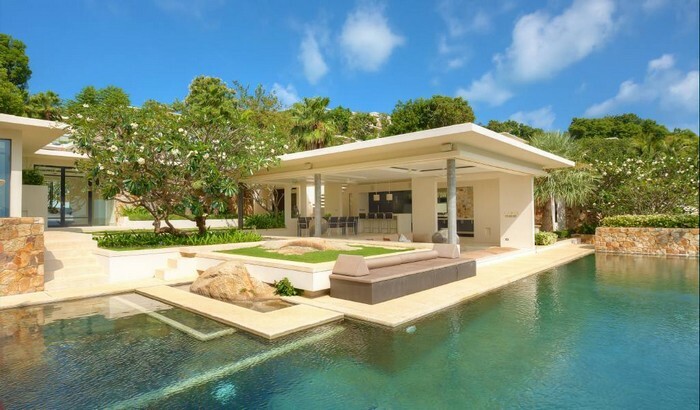 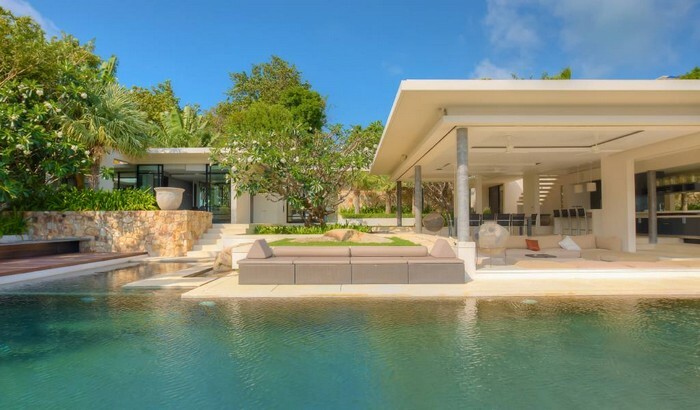 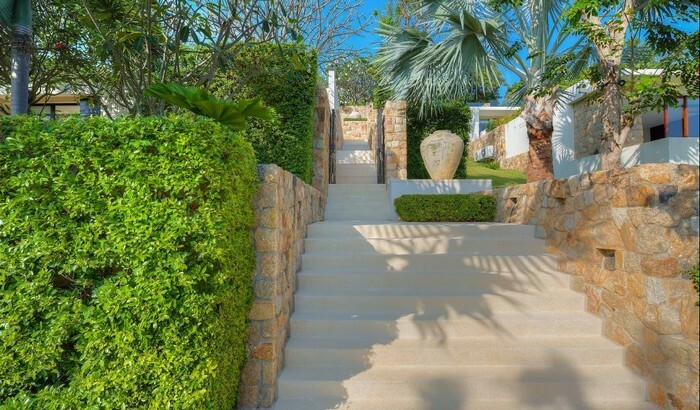 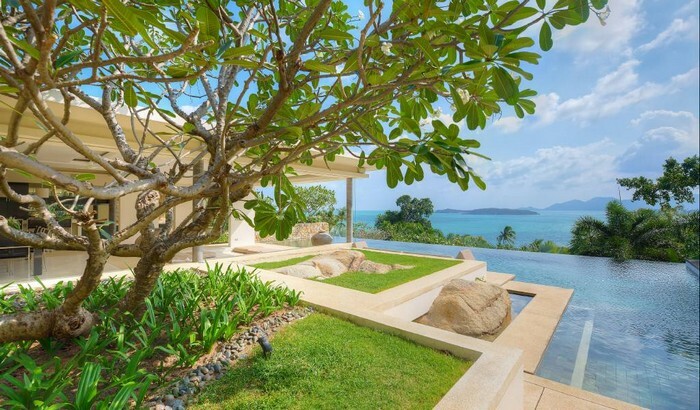 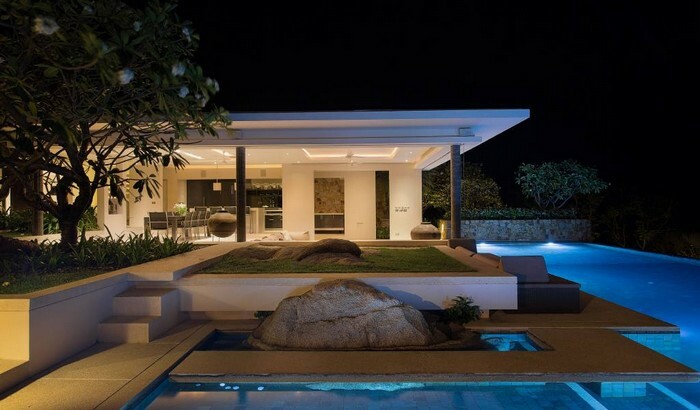 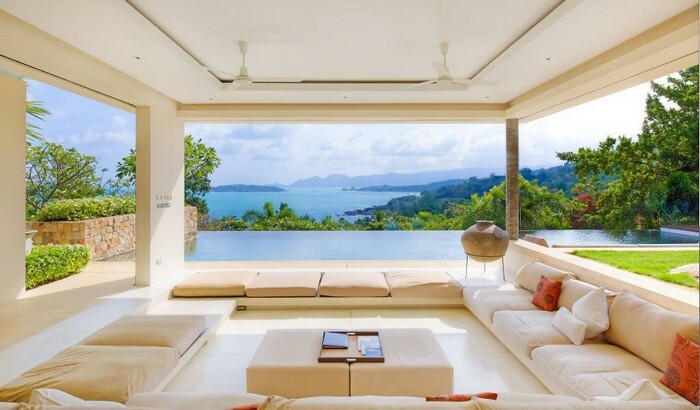 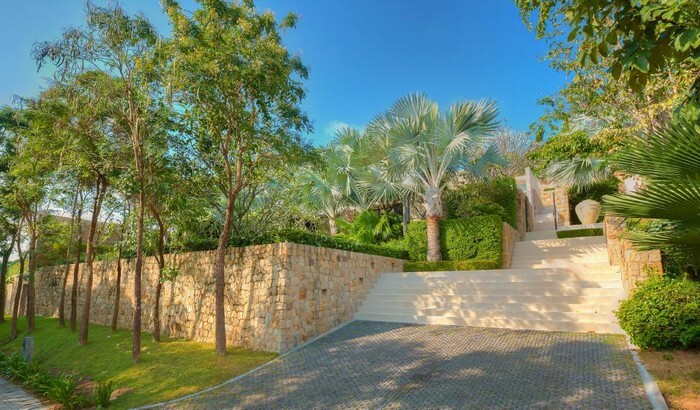 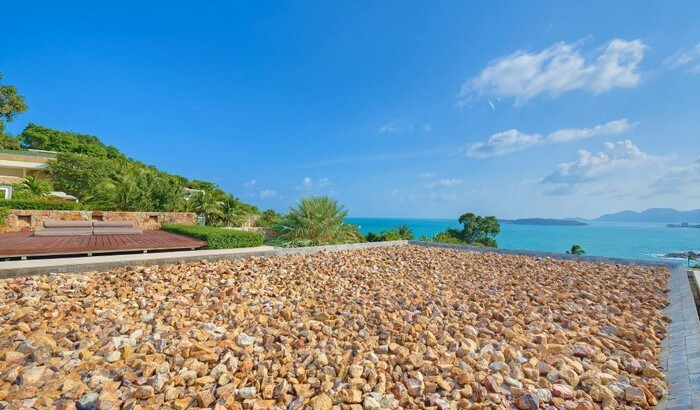 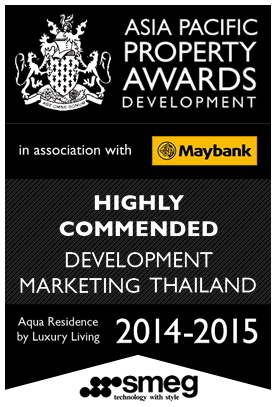 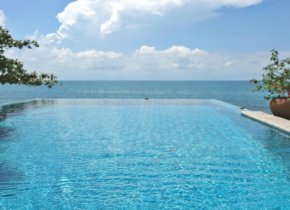 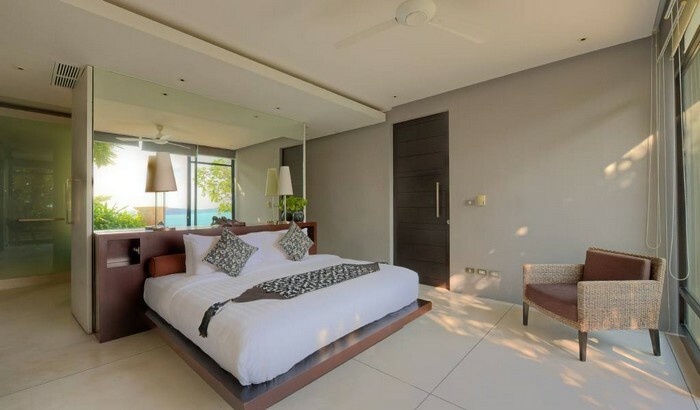 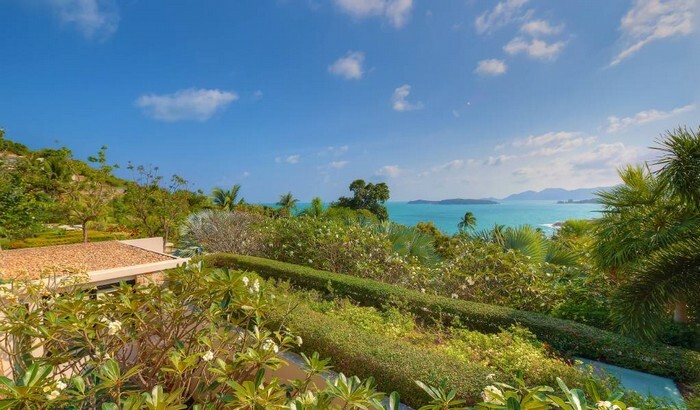 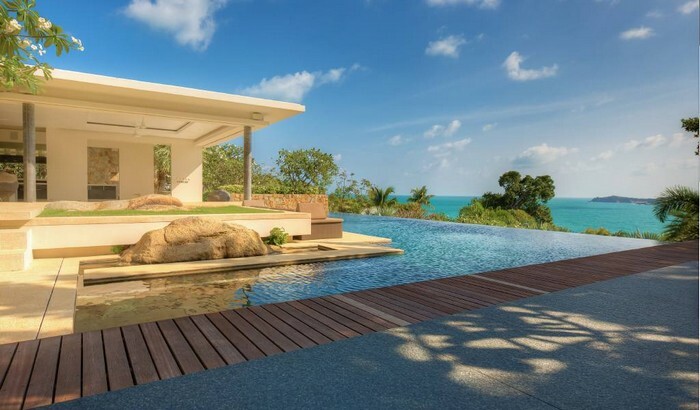 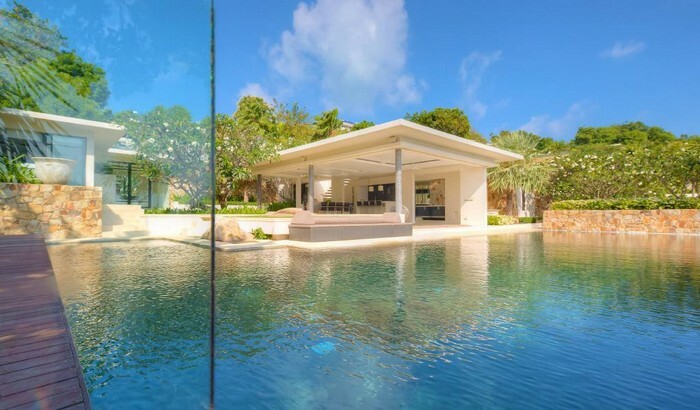 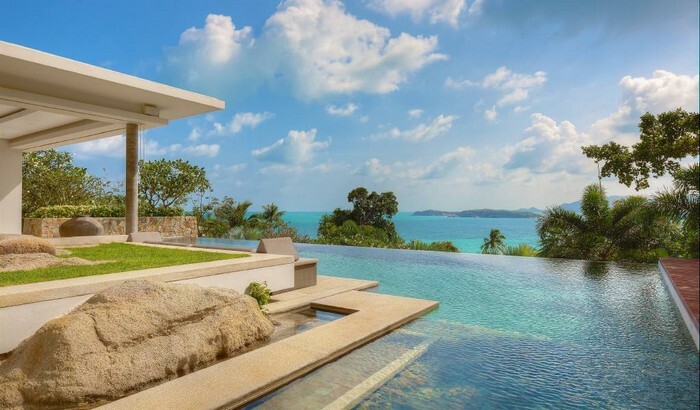 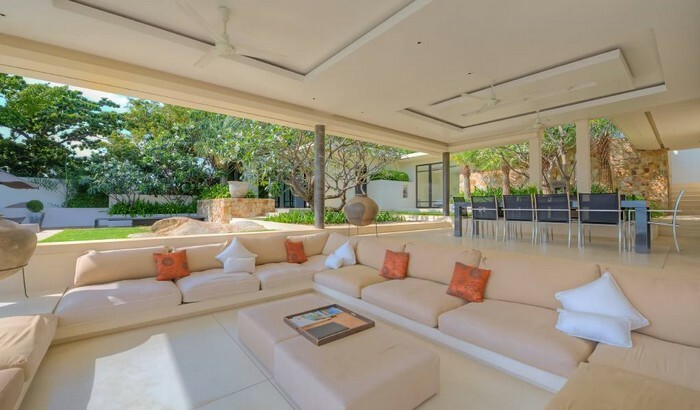 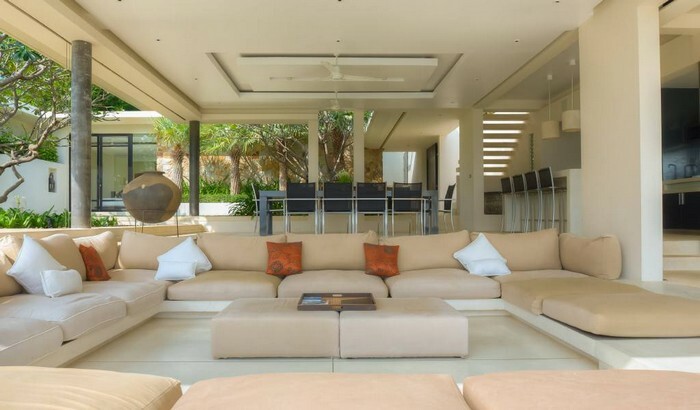 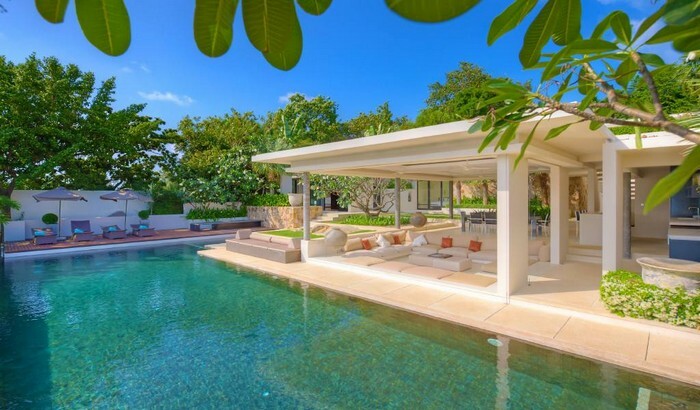 A spacious 5 bedroom luxury seaview villa within a spectacular Cheong Mon development designed by Gary Fell of GFab Architecture. 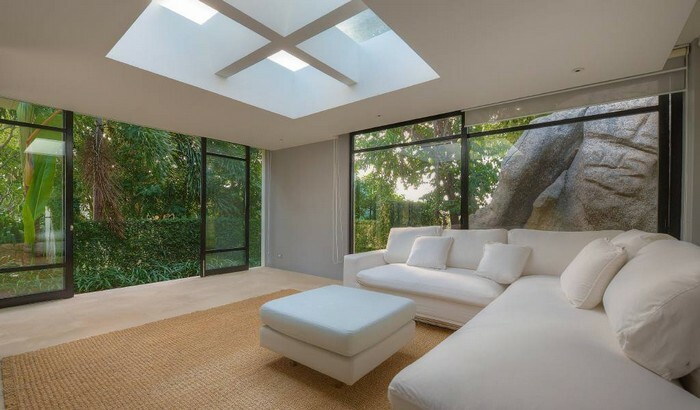 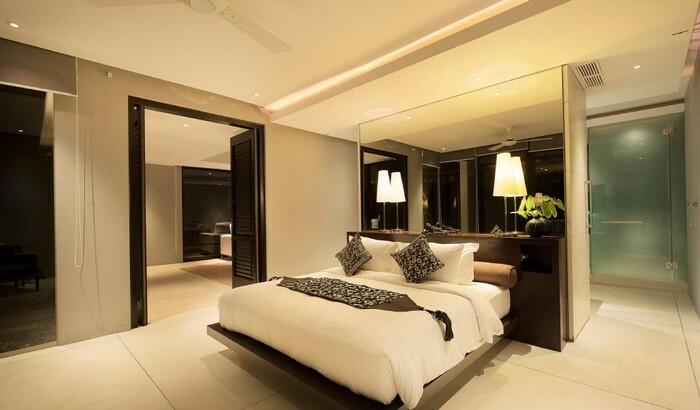 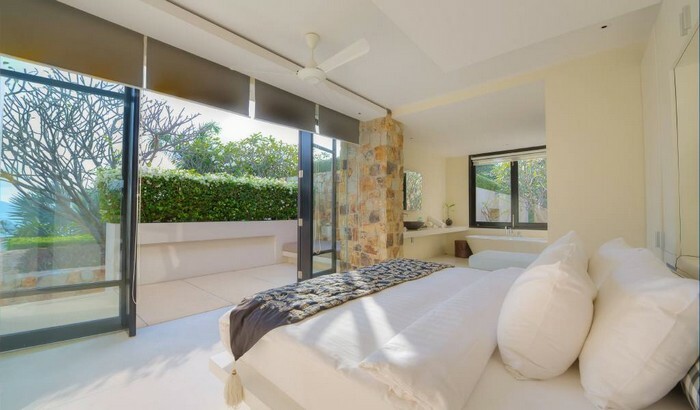 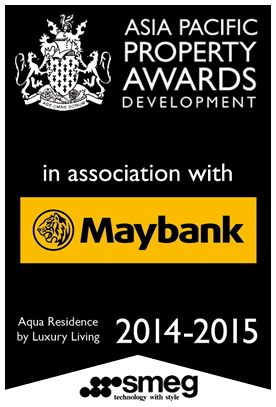 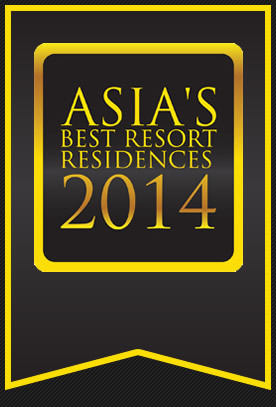 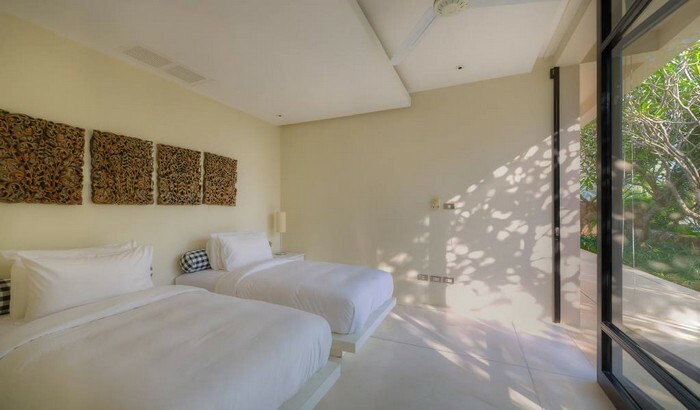 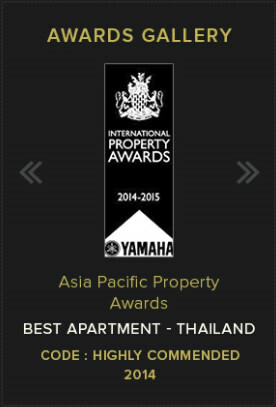 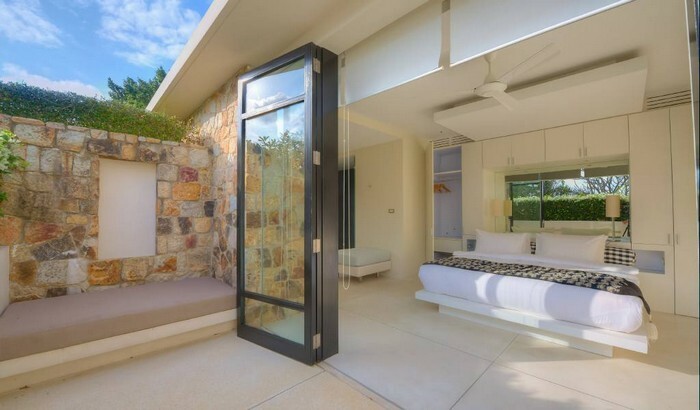 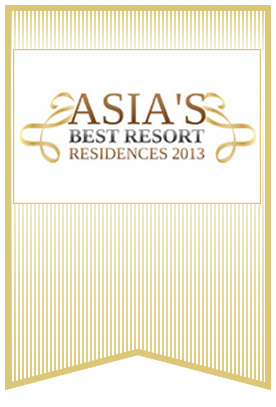 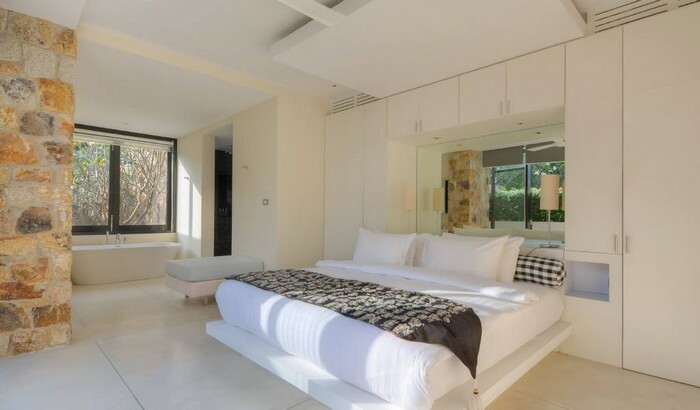 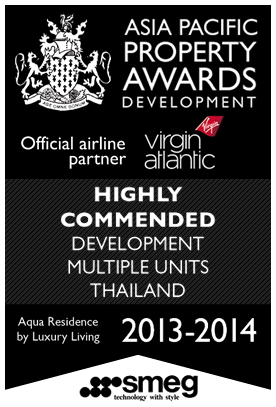 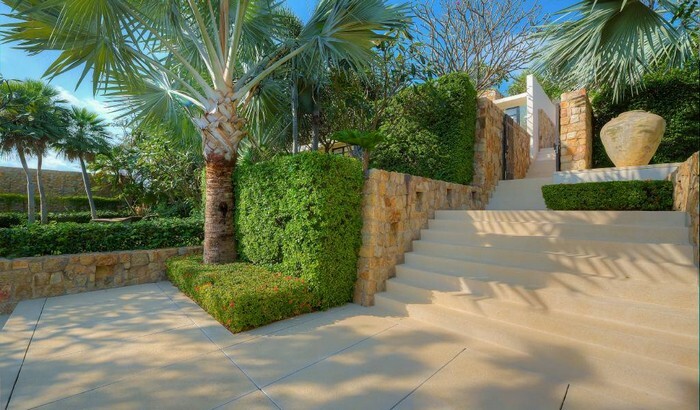 All 5 bedrooms offer ensuite bathrooms with private gardens or terrace. 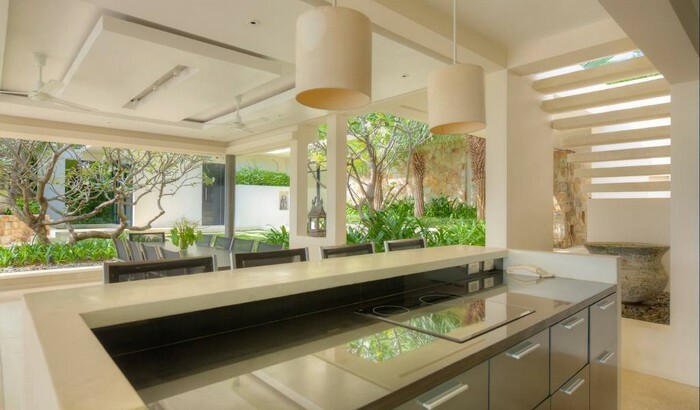 A comfortable sunken open-air living and dining area with stunning kitchen is backdropped by the secluded gardens and splendid sea views. 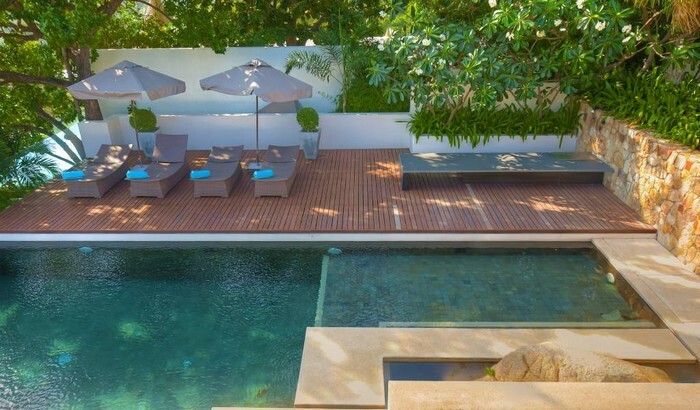 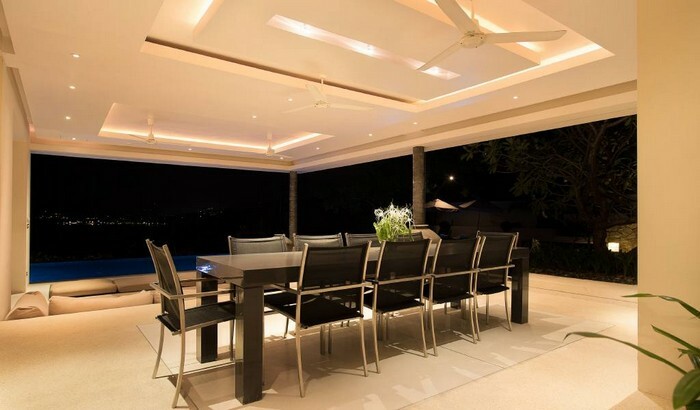 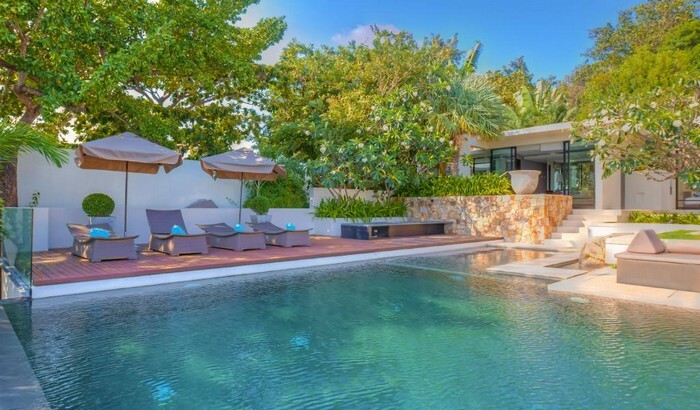 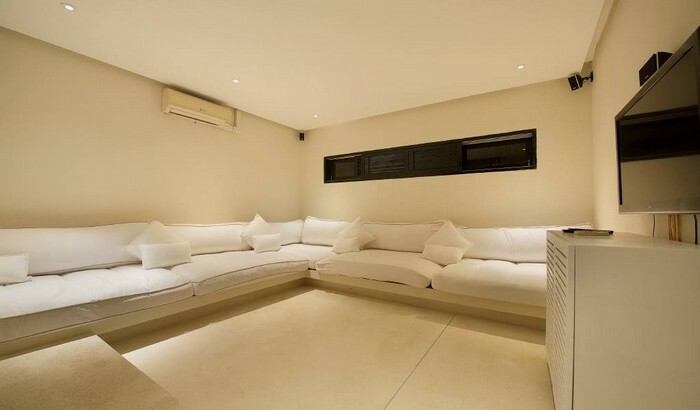 The property also offers a BBQ and pool-side bar area in addition to a TV lounge room and service kitchen.